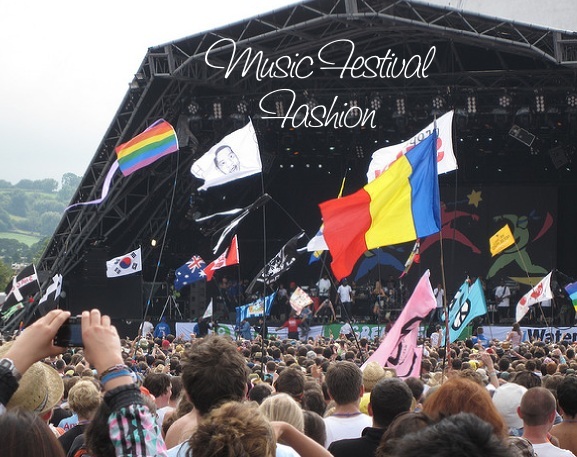 What to wear to a festival - Oh So Girly! As summer approaches, musical festival season dawns. But what to wear to a festival? 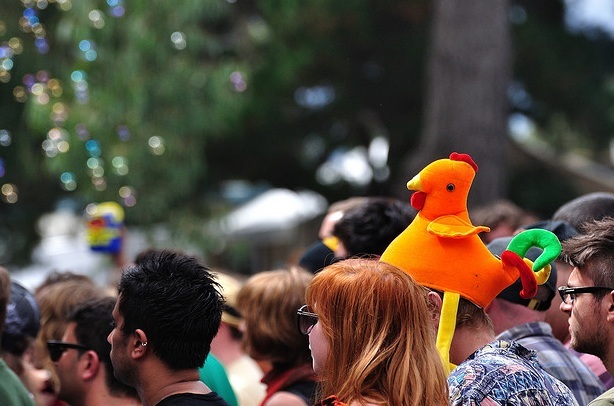 Typically music festivals are all about being casual, comfortable, fun and free. Here are a few ideas of girly festival fashions for you! I know festivals happen over the summer, but if you live somewhere like the UK, like me, hoodies or something warm is kind of essential, because even in the summer ya never know whatcha gonna get. Plus, it sometimes gets chilly in the evenings once the sun sets. Featured here are a Cropped Urban Denim Style Blazer Jacket and a hot pink angel wing hoodie. Probably a good idea to also take some waterproofs with you too in case it will bucket down. A roll-up lightweight one would be good. Vest, tank or strappy tops are always a good summery, girly option. Featured here are a blue floral tank top and a GUESS beige sleeveless floral tank top. Pretty, airy and light. Remember to bring a funky pair of sunglasses to the festival ‘coz you’re sure to be out in the sun a lot. These cute heart shaped sunglasses are perfect for those out for a fun, girly look. Hats are really important if you’re going to be spending all day out in the sun. And if there’s one place you can get away with wearing all sorts of cool or crazy hats it’s in a music festival! Case in point, the picture below! On a more practical note, I really liked this girly cowboy hat with jewelled heart decoration. Handy for a hot summer’s day, light and small to pack, denim shorts make a great addition to any music festival overnight bag. I thought these Apple bottom denim shorts were adorable. Practically speaking, backpacks are great to stuff a few essentials in and are much easier to carry with you than a suitcase of some sort! There are so many cute backpacks you can choose from to take with you to a music festival. You can check out a few ideas in some of our previous articles (eg. floral backpacks, heart backpacks, bow backpacks). The bag featured here is a black Everest pink hearts pattern backpack. This “festival essential” depends on where your music festival is in the world, but if it is in the UK or somewhere like it, Wellington boots are a must. Rain + music festival = mud galore. There are loads of cute girly boots to choose from including the featured hot lips wellington boots. Remember to bring some comfy shoes with you too. Featured here are pink Timberland Women’s ankle boots which should be comfortable to walk in. Flip flops are one of those things that are really light and easy to stuff in a backpack plus are great for hot weather and suit the casual vibe in music festivals. The ones featured here are pink floral Havaianas womens flip flops. Great list! Wellies are an absolute must here in the UK as things tend to be pretty muddy all year round! Oh and I couldn’t go to a festival without a cute hat and a hoodie! Fun picks! This makes me want to go to an outdoor music festival immediately!